Koji-tation is the state of excitation attained when Koji Uehara enters the dugout after a successful inning. 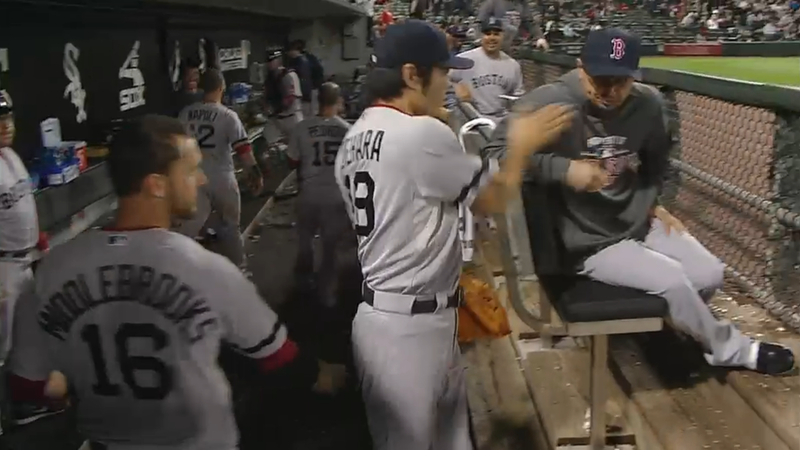 Shane Victorino was in a state of cogitation; he didn’t even realize Uehara was approaching him. Unawares and unprepared the outfielder got a slap on the shoulder rather than a high five. Here is the moment of impact. Perhaps it raised Victorino to heightened state of awareness as a zen slap would. 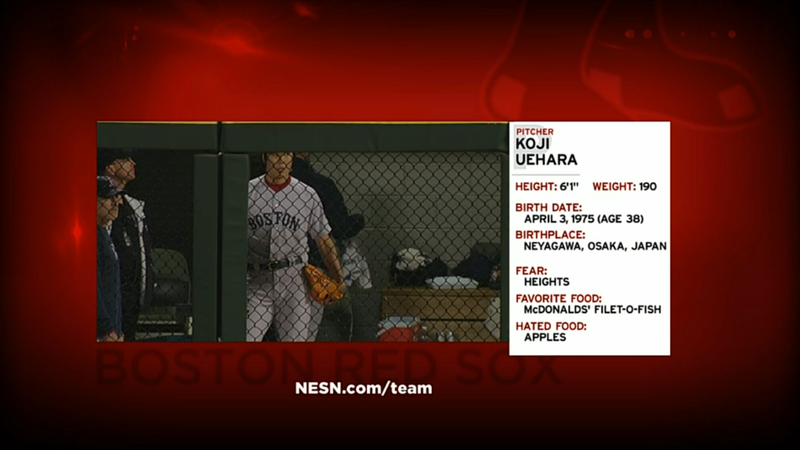 Uehara hails from Neyagawa, Japan, which is near Osaka. Osaka is known for its own distinctive dialect, Ōsaka-ben, which differs from the “standard” Japanese that is spoken in and around Tokyo. This dialect is to English as the Cockney accent is to Received Pronunciation. The stereotype of Japanese people is that they are reserved, polite, and impersonal, but those characteristics generally apply to the denizens of Tokyo. Folks from Osaka are known for being outgoing, irreverent, and independent.